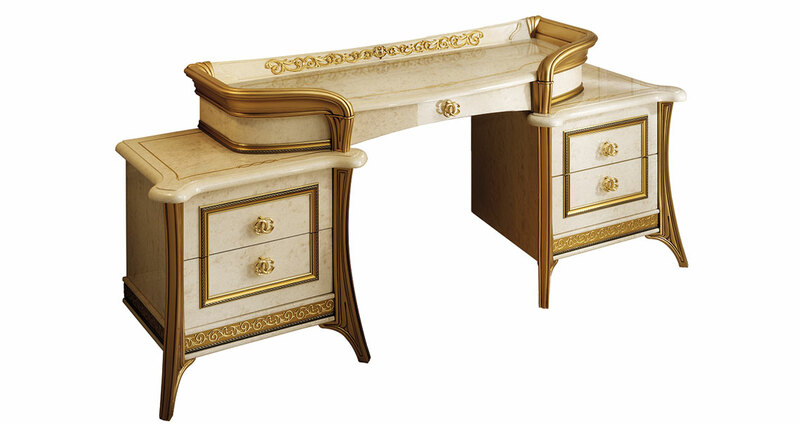 The Melodia dressing table experiments with new volumes, divided into two different heights and depths. This solution on multiple levels presents a golden curved embrace, bringing fluidity and originality to the entire composition. The squared pouf is an innovative finishing touch and unconventional accessory choice.